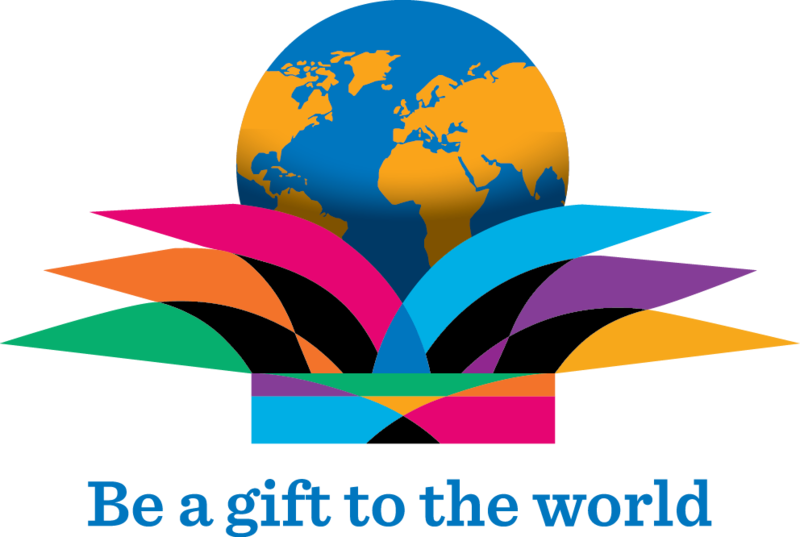 How will you Be a Gift to the World this year? RI President K.R. Ravindran challenges us to use our gifts – talents, knowledge, abilities, and efforts – to make a genuine impact through fellowship and service activities. Through our Rotary network, we have access to many resources to plan projects using our skills, expertise, and passions to improve communities near and far. Through a Rotary grant, the Rotary Club of Santa Maria, Philippines, is working with the Rotary Community Corps of Pulong Buhangin 2 and other partners to provide safe water and sanitation for a community within the Santa Maria Bulacan municipality. 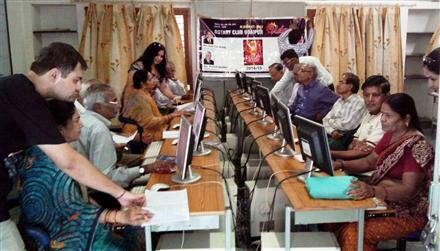 The Rotary Club of Udaipur Udai, India, partnered with a cooperating organization to provide computer literacy classes to older residents. The Rotaract Club of Aishwarya volunteered as teachers during the trainings which covered topics including scheduling appointments, making reservations, and paying bills online. The Rotary club members provide students with ongoing consultation after completing the courses. The Rotary Club of Santurce, Puerto Rico, collaborated on a Rotary Friendship Exchange with the Rotary Club of Port of Spain West, Trinidad and Tobago, to build fellowship and friendship and explore international service opportunities. The visiting team from Puerto Rico visited several projects, engaged in fellowship, and met the club’s sponsored Interact Club and RCC. They will host their new friends from Trinidad and Tobago later this year. 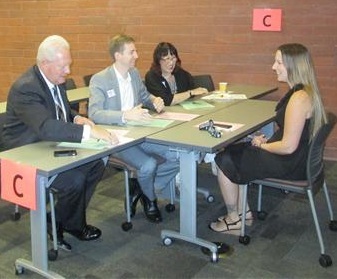 The Rotary Club of Irvine, USA, teamed up with the Irvine Valley College to host an interview workshop and mock interviews with college students. Students were interviewed by a panel of three Rotarians and then received feedback to improve their interviewing skills. The Rotary Club of Benin Metropolitan, Nigeria, seeks an international partner to assist with their initiative to provide safe drinking water for the 5,000 residents of the Obazagbon and Ugieghudu communities. 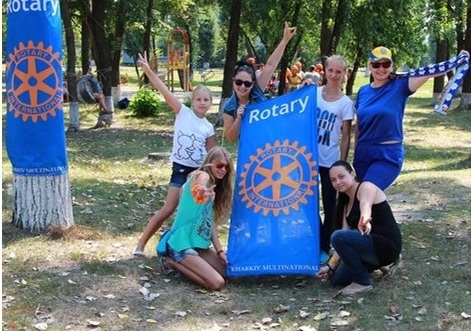 The Rotary Club of Kharkiv Multinational, Ukraine, is seeking partners to assist with a camp program for local youth. Children who are refugees from nearby conflict areas, part of military families or face tough life situation will participate in the program which includes fun outings and activities along with a targeted curriculum to help participants adapt and socialize given their backgrounds and traumatic experiences. Visit Rotary.org for many more resources to help you with your club or district project. Remember, the 2015-16 Presidential Citation will recognize clubs that achieve an array of accomplishments intended to make Rotary stronger, more effective at delivering service, and more widely known and respected by the general public. Encourage your clubs to focus on the Humanitarian Service goals listed in the Presidential Citation brochure. i can be the gift to Rotary by offering my services through Rotary for reducing Maternal mortality in any country by giving training , education health staff,and doctors.